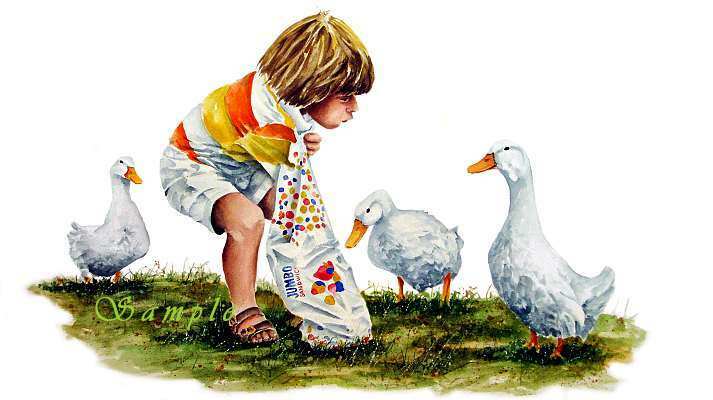 If you have ever fed the ducks with children, you can relate. The ducks are lining up, each one trying to out maneuver the other. Some are quacking to get attention. Quite an experience. Print size 13" x 20".